the 11th Century. No exact date is known. Meaning of symbols are listed below. Stag, Buck or Deer Skillful, Politic, lover of harmony. Mullet (5-pointed Star) Divine quality bestowed by God. Sign of the third son. Crescent Hope of glory, one who has been enlightened. Sign of the second son. One of the foremost myths of family history is the presumed significance of coats of arms. Formally known as “heraldry,” this field of study is decidedly more complex than the peddlers at the mall would have you believe. Proving your entitlement to a coat of arms is actually quite an achievement, often taking time and considerable surname research. But just for fun, we’re giving you the history of heraldry – what the study entails and how it can be helpful in your family history research. Fiction: It is commonly believed that a coat of arms is associated with a surname – an ancient family sharing its emblem with all related bloodlines and ensuing generations. Another assumption is that those sharing the same surname can adapt a common coat of arms for use on tee shirts, key chains, and other novelty items. Fact: Analogous to a medal of honor, a coat of arms was typically bestowed by a magnanimous ruler as a reward for services rendered. When the grantee died, the coat of arms was then passed to the eldest son under the rights of primogeniture – much the same as a title of nobility or a piece of personal property. Crest: The crest is usually in the shape of an animal’s head and appears directly above the helmet and shield. Helmet: A helmet is just that – a helmet modeled after the style of the century. The appearance can vary depending on the artist. Mantle: The mantle is a decorative sort of flurry that flanks either side of the shield. The mantle represents cascading yards of cloth, but more often resembles the leaves of a plant. Shield: The shield is the centerpiece of a coat of arms incorporating unique shapes, colors and charges (crowns, fleur-de-lis, and so on). Supporters: The supporters flank the shield, just like the mantle. Only the supporters are usually animals (deer, lions and sometimes people). Wreath: The wreath looks like a twisted piece of cloth or rope and corresponds to the colors of the shield and mantle. It is always placed on top of the helmet just beneath the crest. 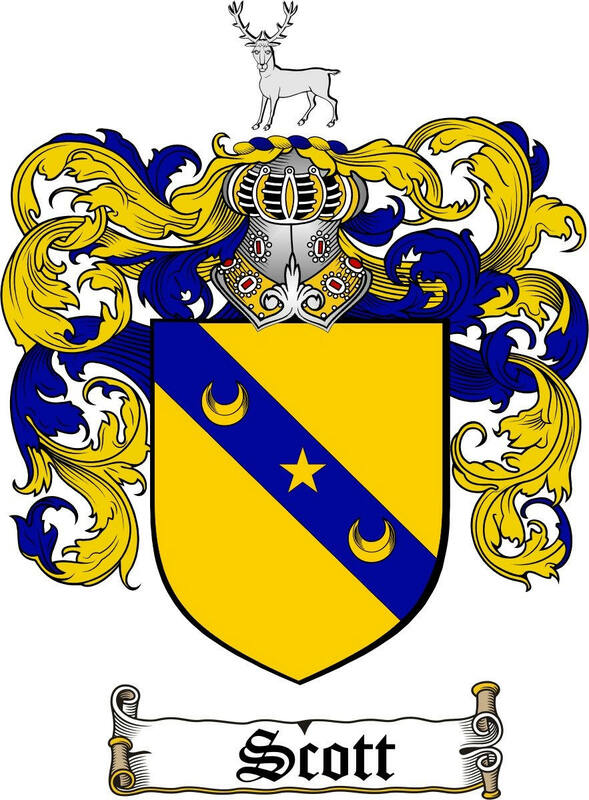 How can I find my family’s coat of arms? Coats of arms were granted as early as the fourteenth century and as late as the twentieth (mostly throughout Britain and Western Europe). So it goes without saying that the further back you can trace your ancestry, the more likely you are to find a legitimate coat of arms. Depending on your nationality, you’ll need to contact the appropriate office of heraldry, grants, or registrations. One of the largest is the College of Arms located in London, England. These offices usually have several centuries worth of “arms grants” on record. If you can prove your entitlement through a legitimate paternal line, you’ll be awarded the right to register your blazon of arms (the “blazon” being a written description of your unique coat of arms). Once you’ve been authorized or “confirmed” by the office of heraldry, you can then display your coat of arms proudly and, best of all, legally.